Round 1 3.5mm Hook and brown DK yarn, Ch6, join with SS to form ring. Round 2 Ch3, DC11 into ring, join with SS into first space. Round 4 You will now be working behind the loops created in round 3 but hooking into spaces of round 2. This creates a second round of loops which fall behind and are visible between the loops made in the previous round. SS into first space, [C4, SS into next space], repeat [ ] 11 times more, SS into first space to join. = 12 loops. 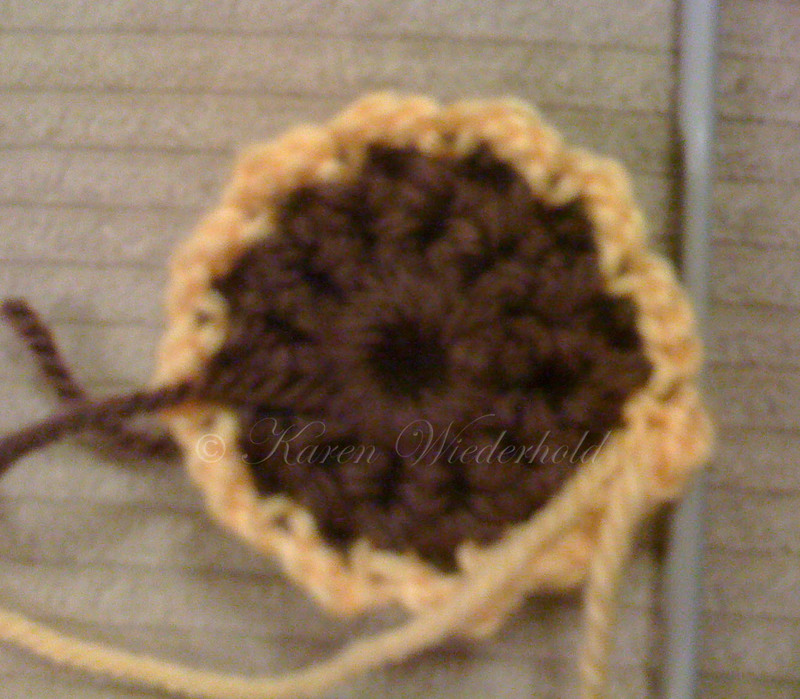 Round 5 Join yellow DK yarn into vertical running stitch below loop on wrong side of piece, [Ch3, SS to next vertical stitch], repeat [ ] 11 times = 12 loops. Round 7 SS into first loop, Ch3, hdc5 keeping stitches on hook, draw yarn through all stitches to complete stitches and form petal, [Ch5, hdc6, draw yarn through all stitches to form petal], repeat [ ] 11 times more, join with SS to top of first petal = 12 petals . Round 8 Join on green DK yarn, SS to first loop, Ch3, DC5, DC1 into top of petal, [DC6, DC1 into top of petal] repeat [ ] 11 times more. Tie off to end. 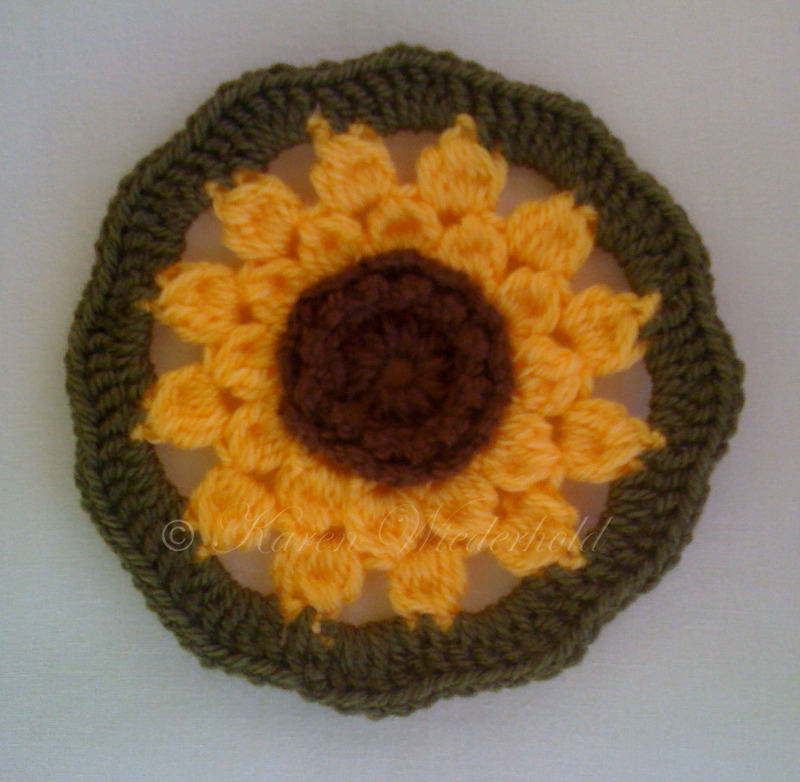 Use this motif as a coaster or stitch sides together to form a napkin ring. 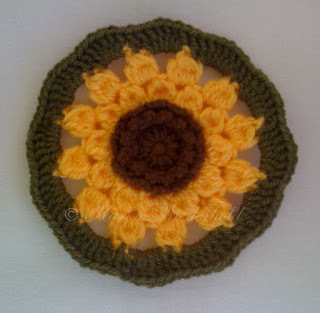 They would also look great threaded onto a crochet chain to make a sunflower garland on their own or alternated with my pumpkins from earlier this month for a seasonal feel. 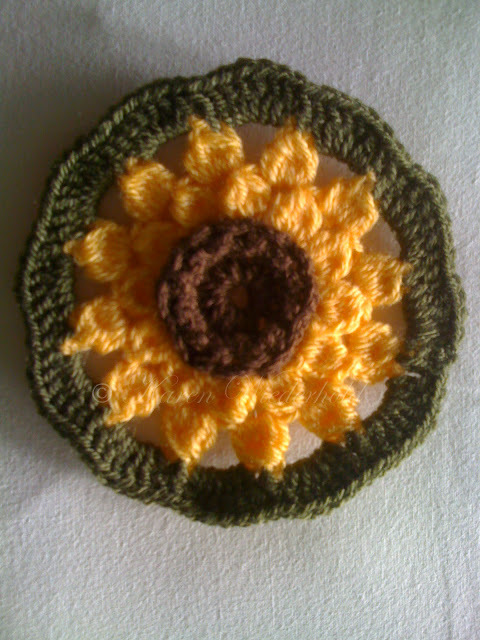 They would also look lovely joined together to make a lacy tablecloth or afghan. Enjoy and please show me what you make, would love to see. these are so cute! 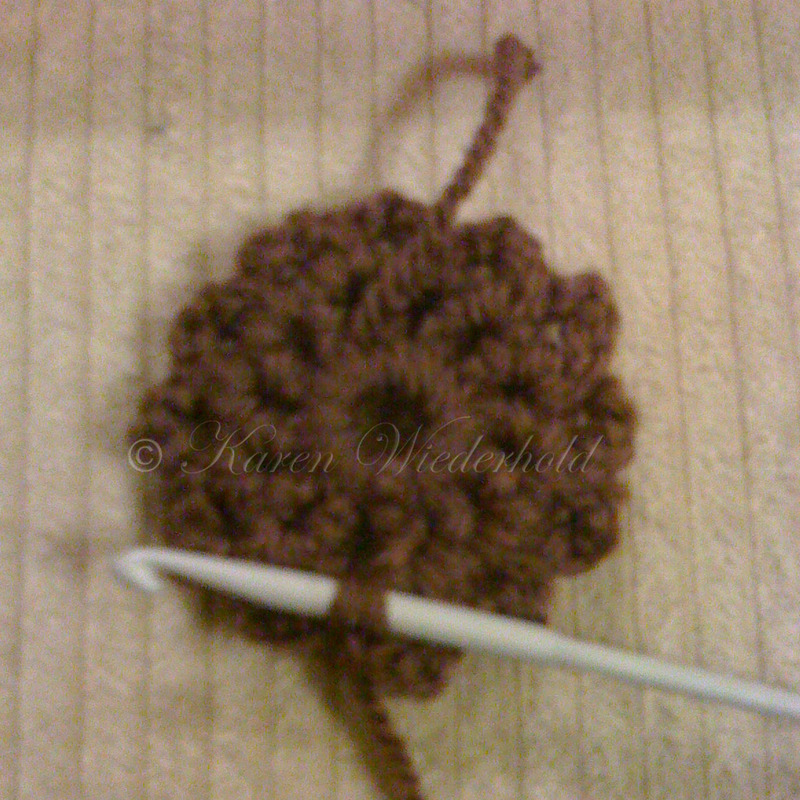 i'm going to make a lot and attach them to make a lightweight scarf! thanks for the pattern. 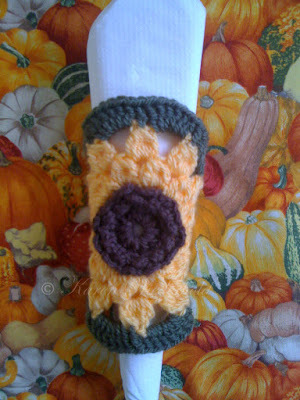 Absolutely adorable, I am thinking of making some coasters! !